Most people are aware of the big players in the men’s shaver market: Braun, Remington, Philips, Panasonic, and Wahl, but occasionally a few new contenders give them a run for the money. 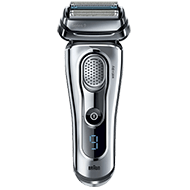 One of these is the Andis Lightweight Cordless Mens Shaver. This shaver is noted for its unusual shape and design. 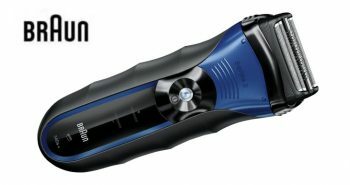 This shaver is cordless and rechargeable, but is made to be only used for dry not wet shaving. 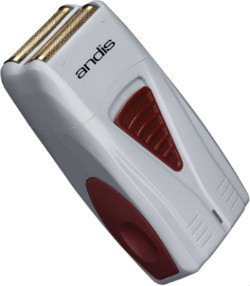 The Andis Lightweight Cordless Mens Shaver design is built within a rectangular-shaped white plastic body. There is a large red triangular on/off button on the middle of the shaver. It’s designed to be compact and lightweight, making it easier to be held in the hands. It actually only weighs five ounces. It would be great for the man who suffers carpal tunnel syndrome or other functional conditions of the hand. There are some lines at the bottom of the shaver to help you to grip it in your hands, as well as a small LED light to indicate when it’s on. The “Andis” name is right under a gold foil-style head at the top. Another notable feature of the Andis Lightweight Cordless Mens Shaver is that while most men’s foil shavers have a silver head, this one is gold. 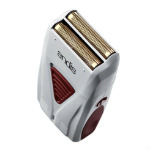 Andis has made a hypoallergenic men’s shaver with gold foil technology. Apparently the gold foil will provide for an irritation-free shave. The blades built inside the gold foil head are staggered, so that they can get closer to the skin to shave off more hair in one pass. The gold foil was designed specifically for sensitive skin, making it glide more smoothly over your face. The motor is built with “bump prevent technology” so that it will remain running consistently. This minimizes any shaving issues. It also spreads the pressure of the blades evenly, minimizing irritation. It also runs quietly, which is nice, particularly when you’re just waking up in the morning. The Andis Lightweight is also cordless and rechargeable. The shaver is built with a lithium-ion battery. After one full charge the shaver lasts an impressive eighty minutes of shaving time, which is more than almost any other shaver on the market today. 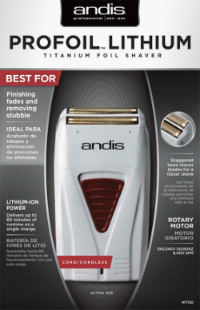 The reviews of the Andis Lightweight Cordless Mens Shaver are favorable, with four out of five stars. 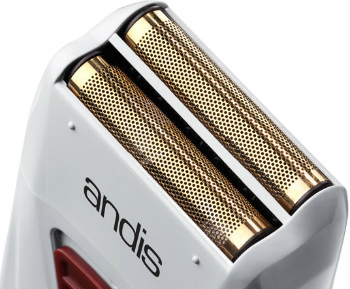 The price of the Andis shaver is good, around $50. The package weight is 10.4 ounces. 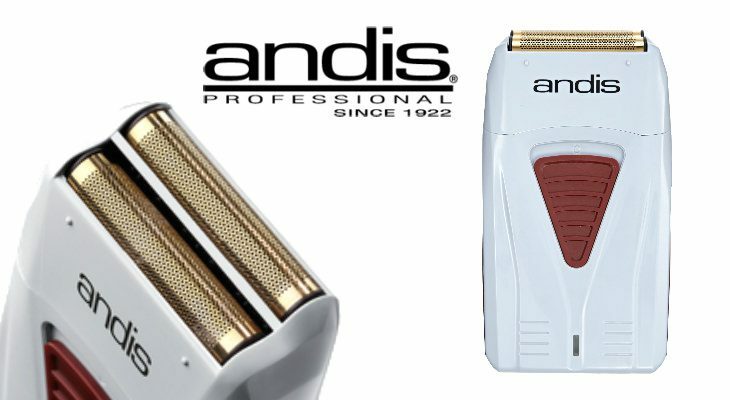 If you’re on a budget and are willing to get away from the more popular name brands of men’s cordless shavers, give the Andis a try. 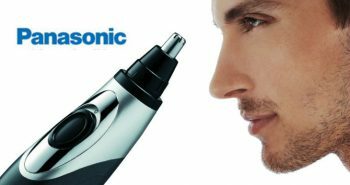 It has many favourable reviews for a shaver in this class. 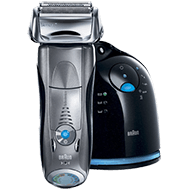 But if you prefer a shaver that can be used wet, you may be better to check out some of the offerings by Braun. 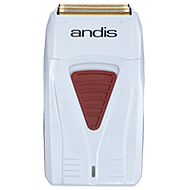 The Andis Lightweight Cordless Mens Shaver has an amazingly long run time, which will be perfect if you’re heading on vacation overseas where your charger cord isn’t going to work. Fully charge it up in advance, and you’ll be good for a week or so, until you return home again. We are not selling shavers but you could try to find it on Amazon http://amzn.to/2g2mKzQ. Maybe they have it.